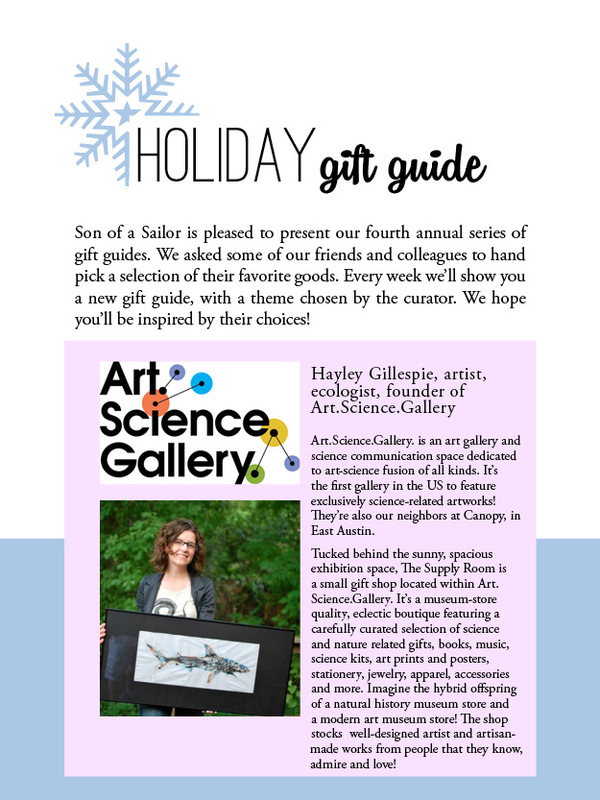 I asked Hayley Gillespie, founder of Art.Science.Gallery, to curate our second gift guide. Hayley's an artist-scientist, part of a growing movement of creative individuals whose work explores the interaction of science and art. She earned her Ph.D. in Ecology, Evolution, and Animal Behavior from UT, and now studies endangered species in Austin. To Hayley, creating art that explores these scientific themes is a natural extension of her work. She opened Art.Science.Gallery as a venue for like-minded artists to share their work with the public. 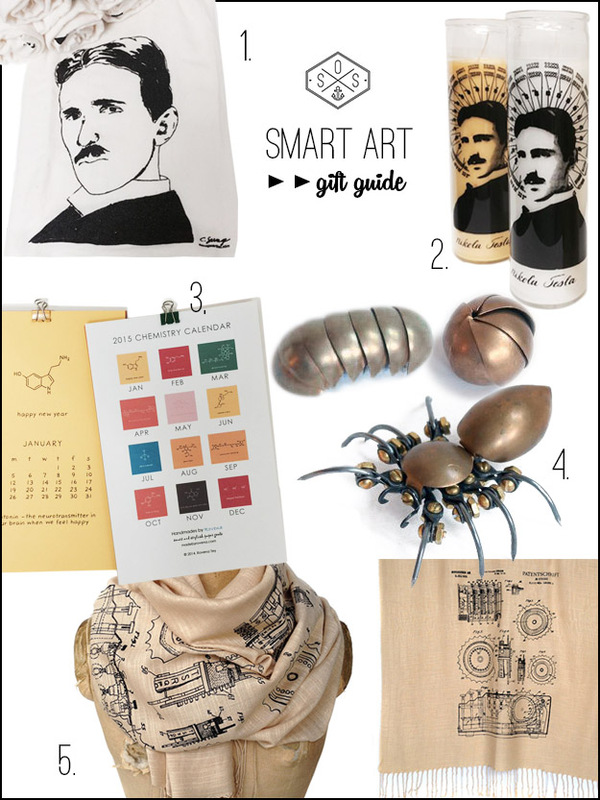 Of course, it was only fitting that Hayley's gift guide presents science-related gifts! Read on for her picks. 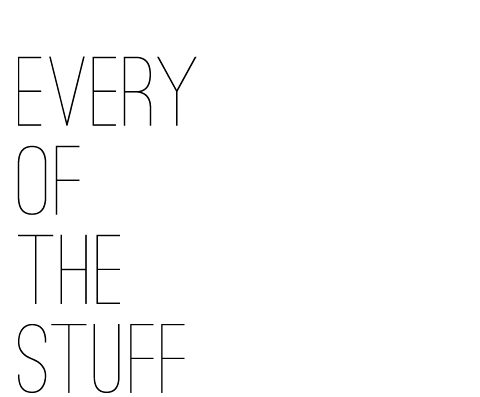 Hayley: I was so excited to get the invitation from Son of a Sailor to put together a holiday gift guide for Everyofthestuff.com! I immediately thought of all the handmade art and gifts that we love here at Art.Science.Gallery.. Our gift shop showcases work by over 40 artists and artisans from the US, Canada, and UK that are great for him, her, kids & home! What I love most about these five selections is that they’re made by real, awesome people I know, and these are things that you’ll find in my home collection, too! Each of these gifts bring out that sense of excitement and wonder about science in fun, everyday ways, which is what we’re all about at Art.Science.Gallery.! I think a little bit about science, and I smile, whenever I see them. All of these are available here in our gallery shop, our online shop, and some are available directly from the artist as well. Hand printed by Austin-based printmaker (and Tesla Project co-founder) Cathy Savage just a few doors down from our gallery. I love these smart Tea Towels! Cathy has done a lot of work inspired by famous scientists and their work. She jests that caffeine probably fueled his many late nights (did you know he only slept 3-4 hours a night, but sometimes went days without sleeping!? ), so you can think about that every time you use this tea towel! These are handmade by an extreme Tesla fan! I love this printed candle by Austin-based artist Paul Baker! They were a big hit at our annual Tesla Project and include images of Tesla patents as well as the iconic portrait of Tesla himself. The saint-like imagery is a nod to Tesla’s huge following in the science and technology community! Truly a unique home accessory honoring an engineer and inventor who definitely didn’t get his due in his lifetime. Toronto-based Rovena Tey is one of my favorites in our gallery gift shop! 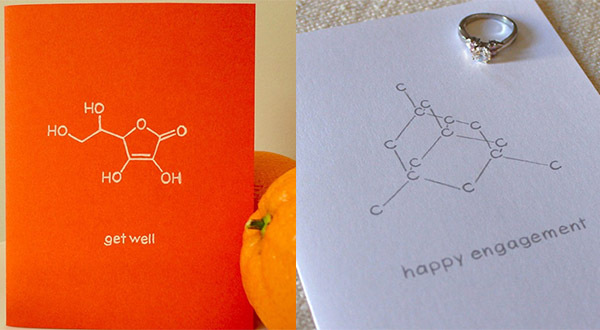 Her Yours Chemically cards, calendars, posters, bottle openers and buttons feature the chemical structures of molecules which she themes to special occasions. “You’re Hot”, for example, features the chemical structure for capsaisin, the chemical that makes hot peppers spicy. “Get Well” features Vitamin C. I love that each card is hand-drawn on colorful paper, so each one is an original work of art. She’s got such a steady hand that they look like they could be prints. I just got her 2014 wall calendar, which features a different molecule appropriate for each month of the year beginning with serotonin (the neurotransmitter in our brain when we feel happy) for January’s Happy New Year! 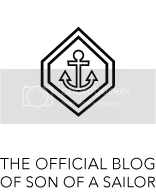 Her company, Handmades by Rovena, produces “stylish cards for smart and savvy people” and also features hand-cut paper cards of non-chemistry designs for other occasions. These rad metal sculptures make use of recycled bike chain, nails and copper and brass sheet to create fully articulated (bendy-legged) insects and arachnids! These are handmade by Oakland, CA-based artists Matt Norris and Camden Torres (formerly of Austin!). I love that these are made from a recycled common object like bike chain! You can bend the legs, heads, pincers. The sculptures are currently available in pillbug, ant, scorpion, aphid, spider and dragonfly. The pill-bugs are my favorite, since they roll up into a perfect little metal ball. They also couldn’t be made by nicer folks. Matt and Camden have been producing works together for the past year or so, and have finally made their work duo official. They are now collaborating, creating, and operating under the name MetalCakes, so look out for more cool new stuff from them soon! Grown-ups and kids both love these sculptures (just note that the pointy legs are made of nails, and can be sharp, so adult supervision is recommended for little ones). I flipped when I first saw Bethany’s Detroit-based company Cyberoptix Tie Lab! They have a line of science-inspired images in a really gorgeous rainbow of ink and fabric colors that are all screen printed by hand. Bethany does the designs — they even take custom orders for special occasions like weddings. When we hosted our first wedding this October at Art.Science.Gallery., the wedding party was smartly accessorized with custom Cyberoptix ties and pashminas! Some of my favorite designs are the Apollo cockpit control panel, the Milky Way galaxy, Diatoms, They’re one of our best sellers in the gallery gift shop, and we’re always getting a new selection. buy in our shop in Austin, or online.